How much do you love fall? 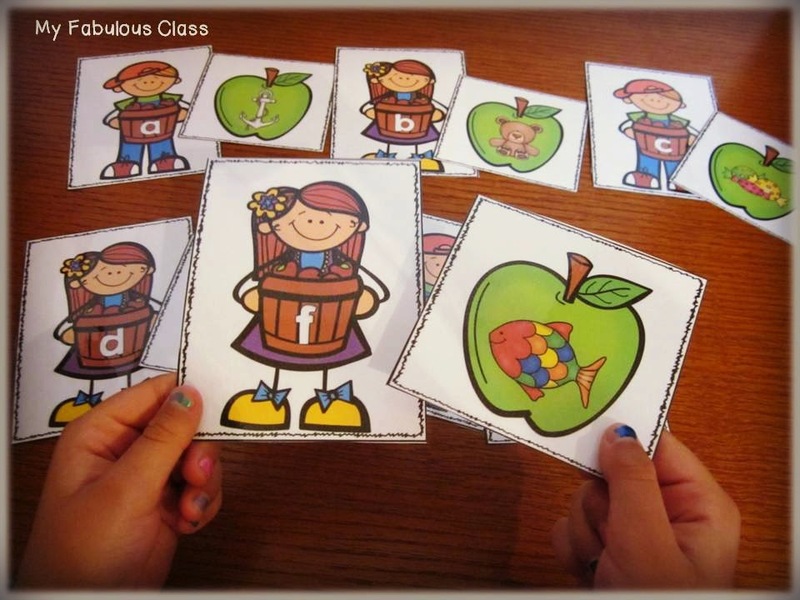 The weather is cooler, football has started, and there are a million fun things to teach...starting with APPLES! 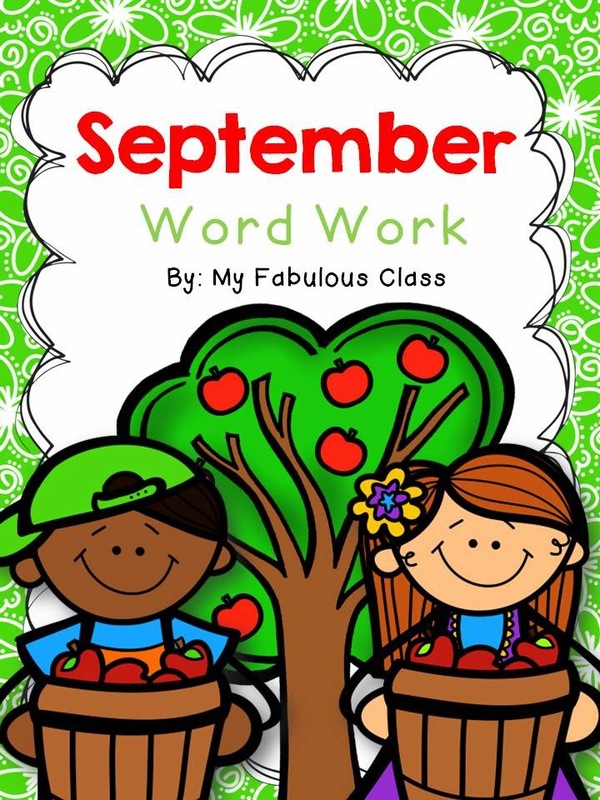 This week, we have been working out of my September Word Work for Kindergarten. 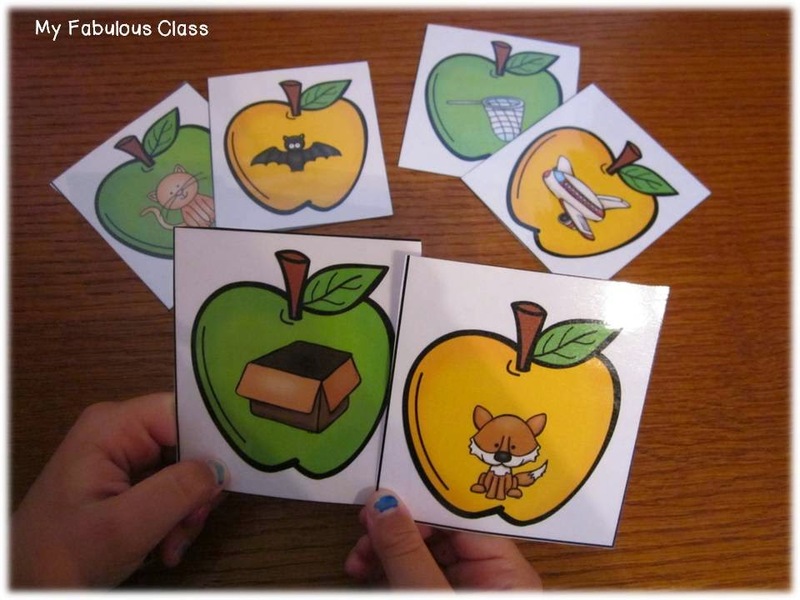 There are seven different activities in this pack that are perfect for guided reading and centers. 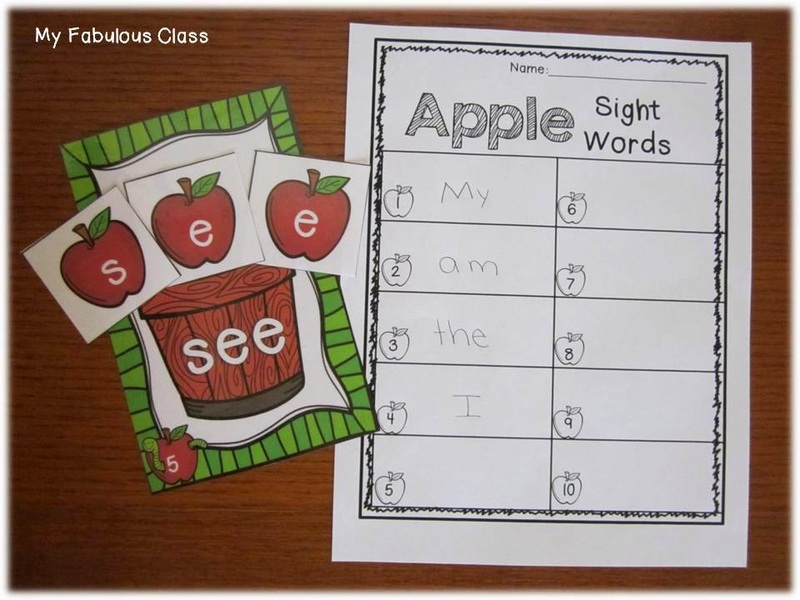 My little honeys have really enjoyed these apple themed activities. 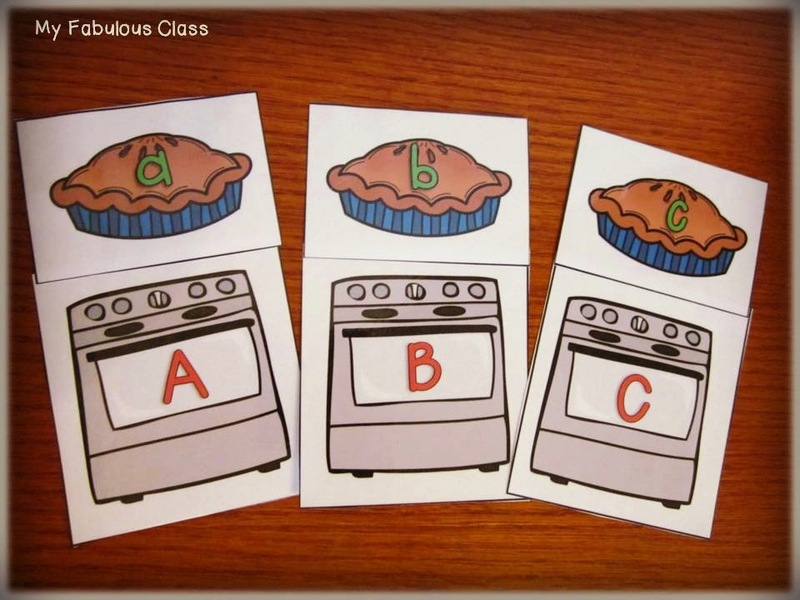 We have worked on matching beginning sounds. Four in a Row has been a class favorite!! 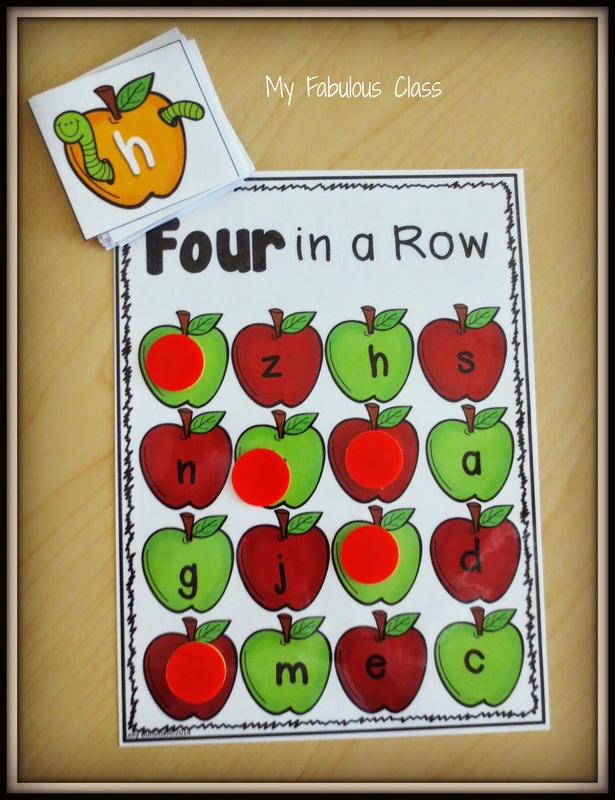 We have been playing games from my newly updates Apple Math and Literacy Centers. Did you purchase this pack last year? You can download the updated version for FREE. The kids have really enjoyed playing a matching memory game with the ten frame cards. We have only been working with numbers 1-5, but I think some of them will be ready for 1-10 next week. 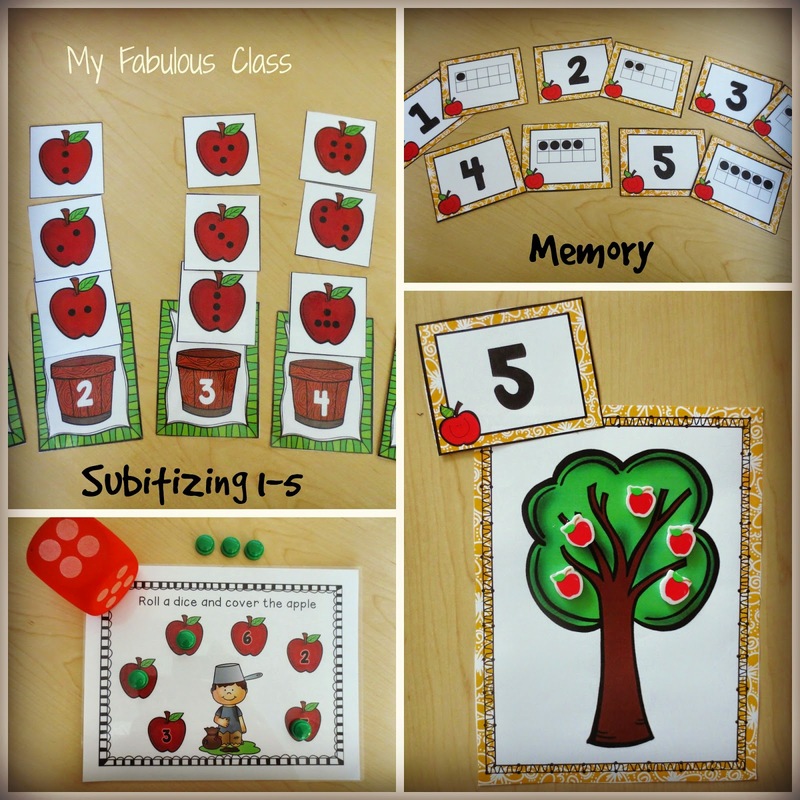 How much do you love the subitizing apples??? 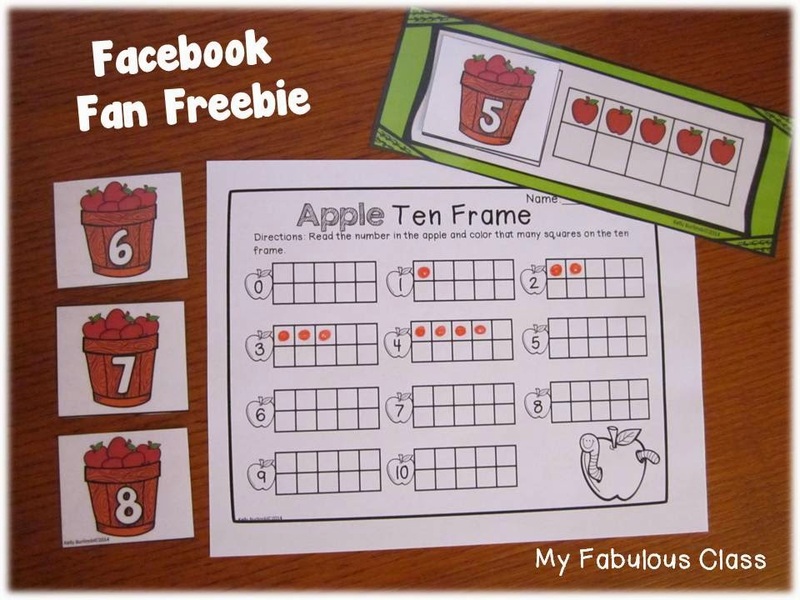 Have you picked up this fun Facebook Fan FREEBIE? To get this freebie, go to my Facebook page, push the like button, and then click on Fan Freebies. Remember, you can only get Facebook Fan Freebies on a computer, not a cell phone or tablet. I have several things I love about fall: the cooler weather, picking ripe apples off the tree, and when the leaves turn. I love the golden colors of autumn! I love that it cools off! It was a hot July and August here! My favorite thing about fall is sitting on my patio watching the birds traveling from up north. We have a pond behind our fence and we watch them glide through the air and dive into the pond. I love this blog hop, & thanks for the apple ten frame freebie! The fall smell when taking a walk in the woods!! !